With the launch of our First Citizen Movement FEED MILLION INDIANS, we pledge today to help like minded people from all over the world to come together on a common platform for a common cause. The cause of removing hunger from India.The attitude of gratitude has got us here as we feel thankful for all that we are blessed with ! Food is the basic necessity of life and the vital requirement of survival but some people are devoid of even one proper meal in a day. Even today, there are millions of fellow indians who cant afford a nutritional hygienic meal even once a day. We all, by joining hands, can help these less privileged people in our own different ways, then why not start addressing it today. 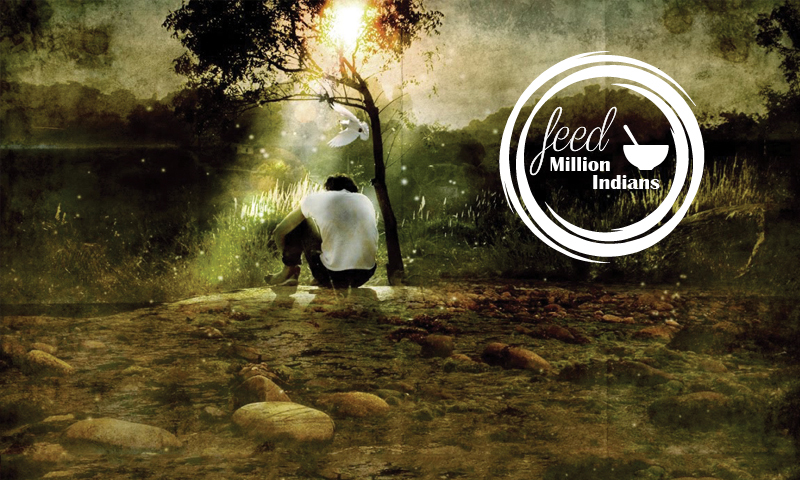 'Feed Million Indians' is a social movement with responsibilities on the shoulder of every responsible and dutiful Indian. Millions of laborious men, women, children and old people go to sleep without having eaten for hours and sometimes, days. With one start, we can reach places. We want to inspire people in order to form a chain of noble acts and encourage it till everyone becomes a self-starter and we help transform our country from INDIA to ZERO HUNGRY INDIA status. Starting 2017, we have set out on a mission to help initiate an awareness and a movement where society as a whole comes forward to feed Million Indians in every Metropolitan City of India. For Starters, we shall start visiting various night shelters run by the State Governments and arrange for their free hygienic meals for one night. We also invite all of you to join us. If you are doing something in this field and pledge your support for this mission, we will be honoured to acknowledge your work in our forthcoming issues.